There's no better way to customize your meal than with the right spices. And there are few things more tempting that the promise of adding some heat. 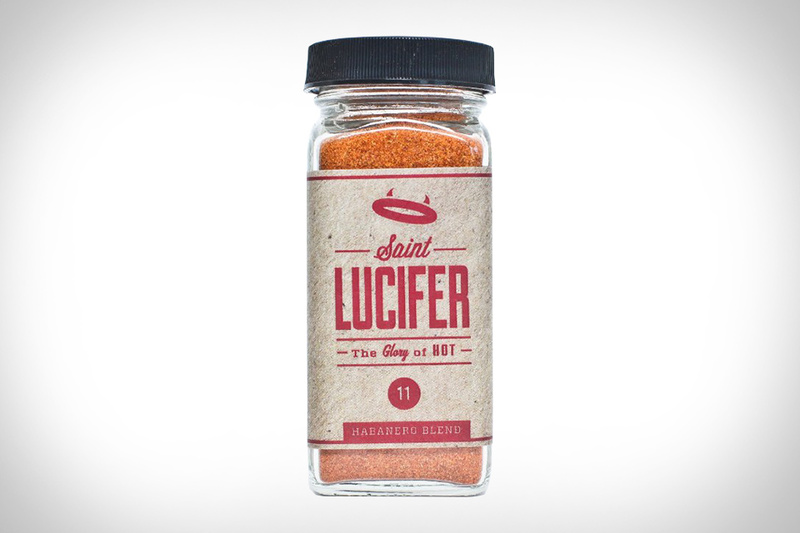 St. Lucifer Spice is a blend of garlic, salt, vinegar and Habanero peppers that will fire up anything it's added to. If heat is your thing, it might be just as important as the salt and pepper. So you love sriracha. Who doesn't? But unfortunately, not every establishment keeps this famed rooster sauce on hand for the chili enthusiast. Sriracha2Go solves this problem by making it easy to carry your own with you wherever you go. Measuring 4.5 inches by 1.6 inches, this small container holds 1.25 ounces of the delicious red stuff, and includes a built-in clip for attaching it to a keychain, bag, or belt loop.